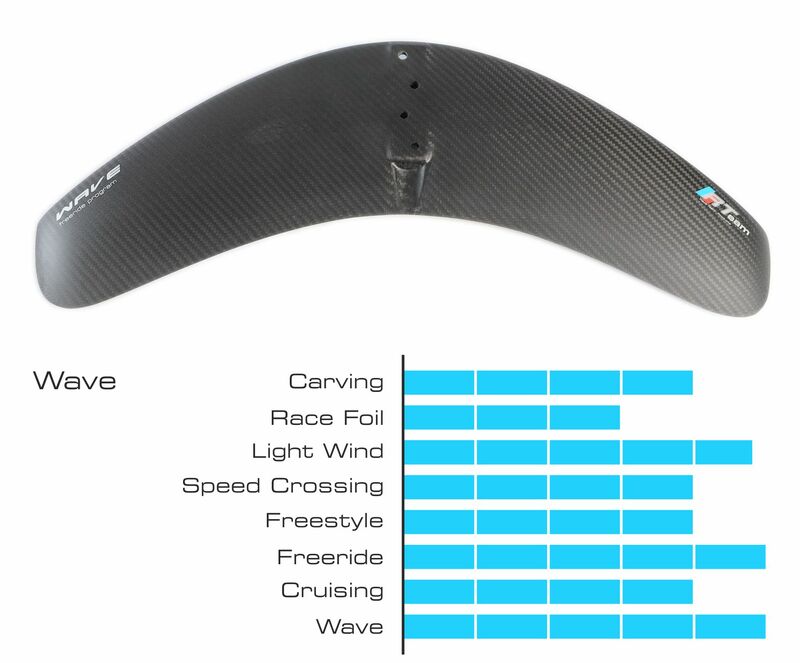 Program: Wave, Carving, Tack, Low Speed ​​Maneuver. For beginner to expert rider. 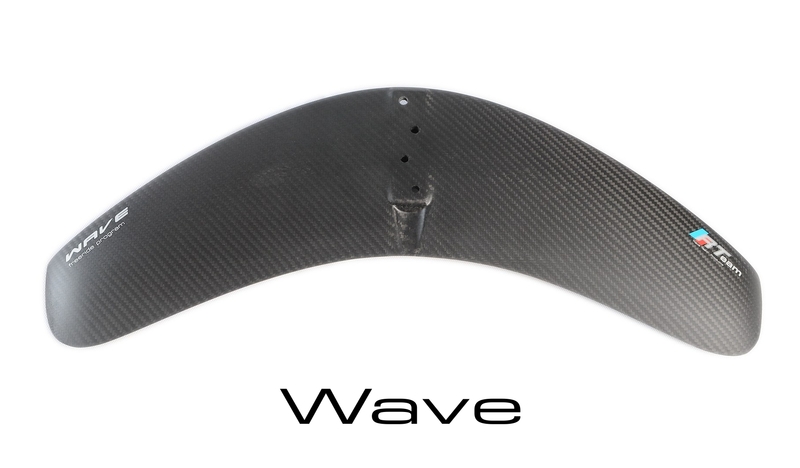 Very good maneuverability, excellent stability, very good lift, it is the perfect wing to maneuver in low-speed waves or work transitions. 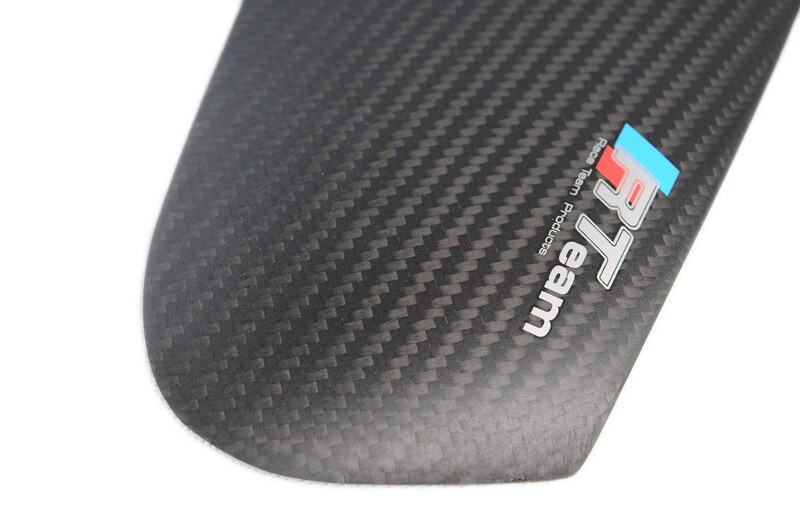 Limited series production RTeam. 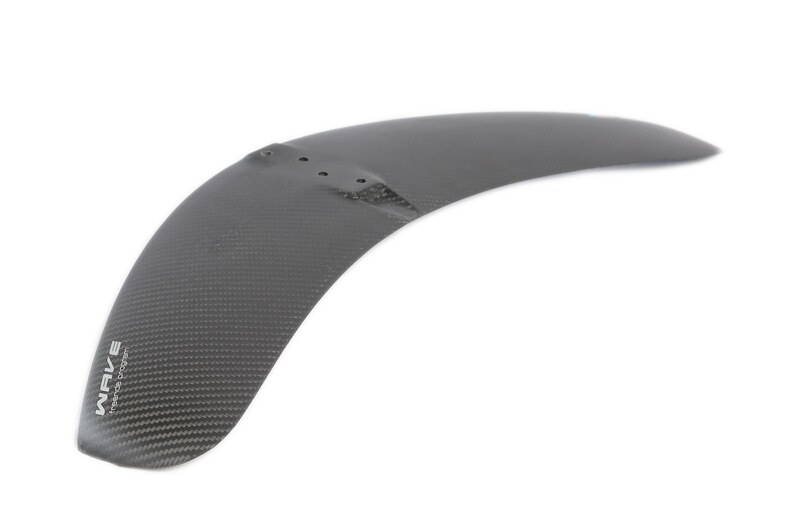 Full carbon construction, Alpinefoil MCF (Monobloc Continuous Carbon Fiber) and VAS (Variable Angle System) technologies. 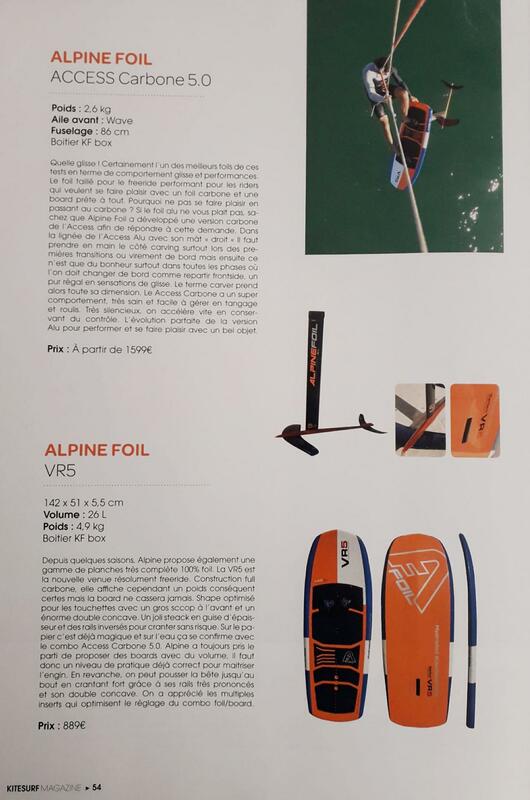 Compatibility: all Alpinefoil since 4.5. 46 votes. Average: 4 / 5.